New Zealand - The Doctor Who Symphonic Spectacular is a BBC Worldwide production based on the ever popular Doctor Who television series. Celebrating over 50 years, Doctor Who is one of the most widely broadcast drama series on the planet. The live show is based on the music of the modern series, composed by Murray Gold and conducted by Ben Foster, a symphony orchestra plays live to video packages displayed on a large projection screen. This is combined with a cast of live characters from the series and enhanced by dynamic lighting interaction. MJF Lighting was the lighting supplier for the Wellington event. Controlling the lighting system was MJF’s new grandMA2 light with an MA onPC command wing working as a backup control surface. grandMA2 has become one of the most popular and sought after control systems in the lighting world. Production and lighting designer Paul Collison comments: "As usual, the MA System was the perfect addition to this package. In a way, it was the hub of this event, controlling not only lighting, but also all the Timecode video packages, projection screens and scenic elements. There isn’t a show I wouldn’t do on grandMA2!" Paul also comments: "MJF were exceptional. I’ve rarely had the pleasures of working with such well-maintained gear, prepared and installed with such precision and care." 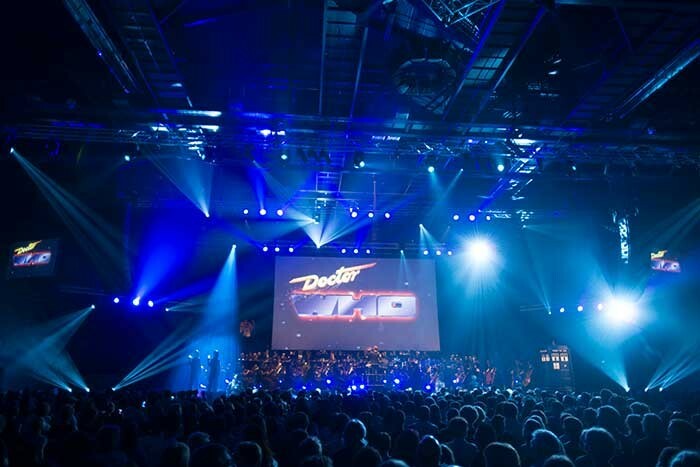 The Doctor Who Symphonic Spectacular was part of the recent Wellington Festival, performing to sell-out crowds at the TSB Bank Arena as part of the New Zealand Arts Festival. Show Technology Australia Pty Ltd. is MA Lighting’s distributor in Australia.